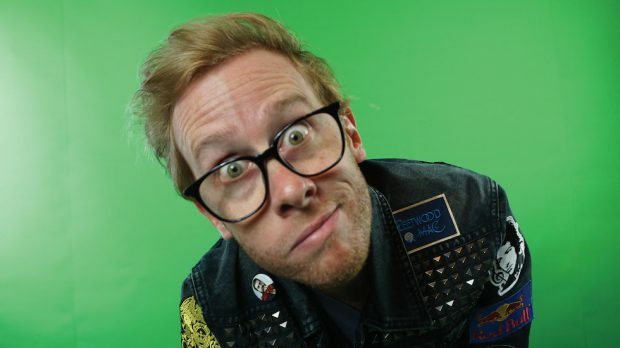 Much-loved WA musical comedian Zack Adams returns to stand-up this Wednesday, April 17 at The Laugh Resort Comedy Club at The Shoe Bar in Yagan Square. Adams will be marking the 10 year anniversary of his acclaimed hit festival show Love Songs for Future Girl before he heads off to Canada where he’s become a Fringe festival favourite. Joining Zack Adams are homegrown heavyweights previewing their upcoming local festival shows including doughnut-loving Canadian Perthling Tor Snyder, 2018 WA Comedian of the Year Colin Ebsworth, and FRINGE WORLD 2019 Weekly Award winner Nicola Macri. It’s a night to look forward to at Perth’s longest running comedy club which continues to produce stacked monthly line ups of today’s and tomorrow’s comedy stars on the third Wednesday of every month. It comes on the back of a pumping FRINGE WORLD season which included Rhys Nicholson, this years Best Comedy Award WA winner Umar Azad and a drop-in from Rove. Zack Adams is the alter-ego of Just For Laughs Comedy Award winner Shane Adamczak, who is excited to bring back an old favourite. Zack Adams hits The Laugh Resort Comedy Club at The Shoe Bar, Yagan Square on Wednesday, April 17. Get more info and tickets here.